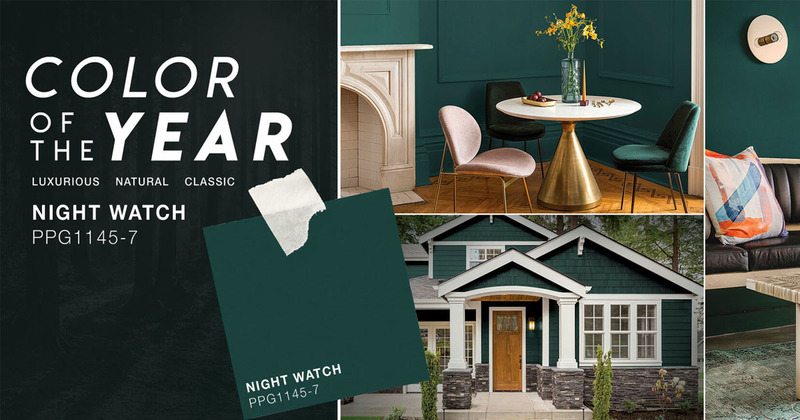 Bringing the outside in best describes Pittsburgh Paints Color of the Year 2019, Night Watch (PPG1145-7) which some describe as a modern take on the classic Hunter Green. Rich in boldness, depth and effectiveness in helping us to reconnect with nature while residing at home, it offers timely relief from the frenzy of our hectic society. Let’s take a look at its application in the home. 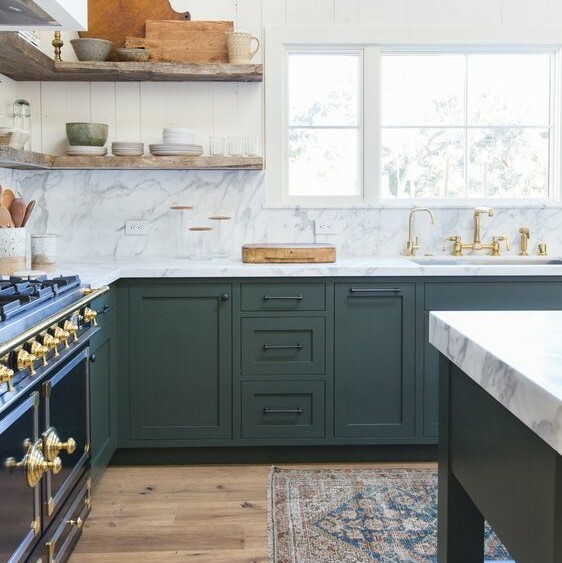 The rich tone of Night Watch featured on the kitchen cabinets and island base offer a fresh contrast of color that helps to embrace the warm floor tones for the otherwise all white kitchen. 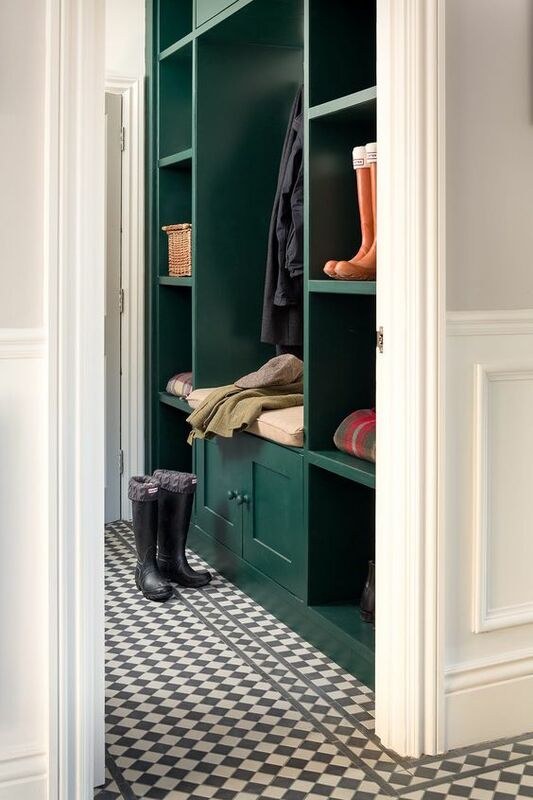 Elegant balance of color and texture from floor to ceiling makes this Mud Room a pleasant transition into the home. 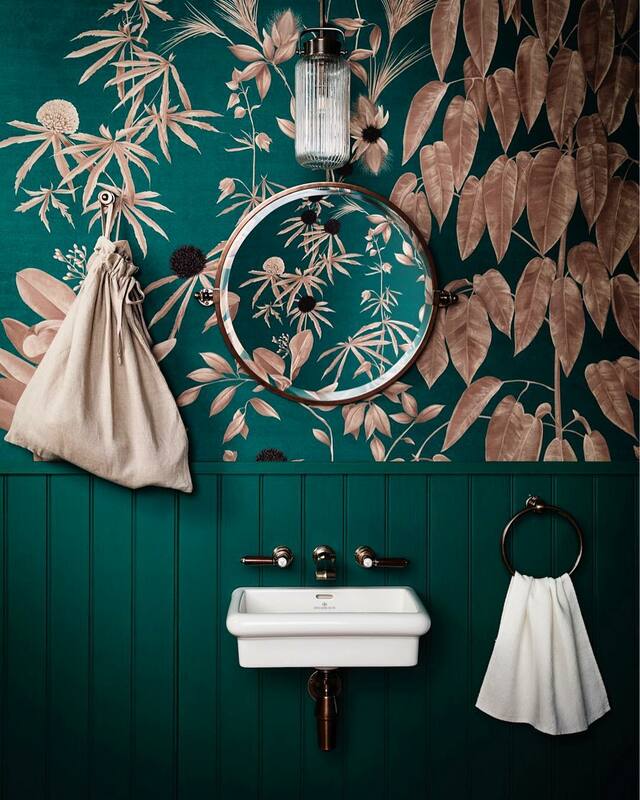 This Powder Room escape makes you forget all your troubles once the door is closed! Night Watch anchors this transitional kitchen perfectly. 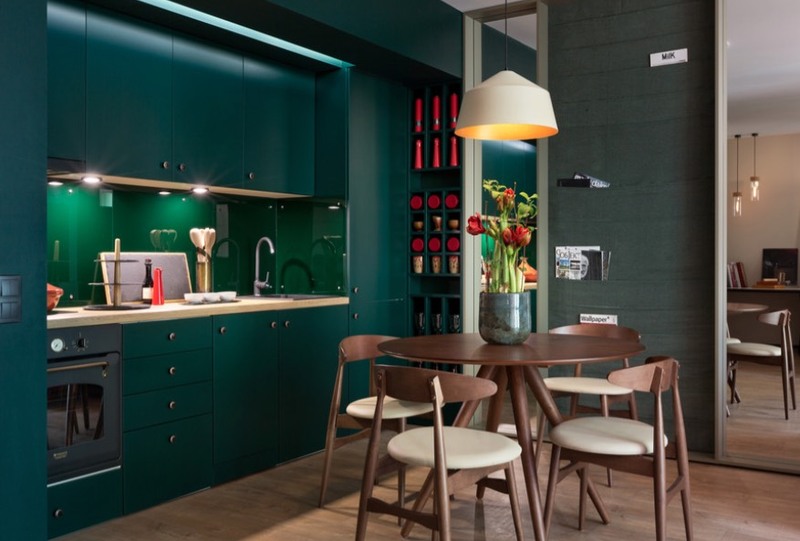 Have you been inspired with this rich and luxurious color hue? If so, I would love to hear all about how!